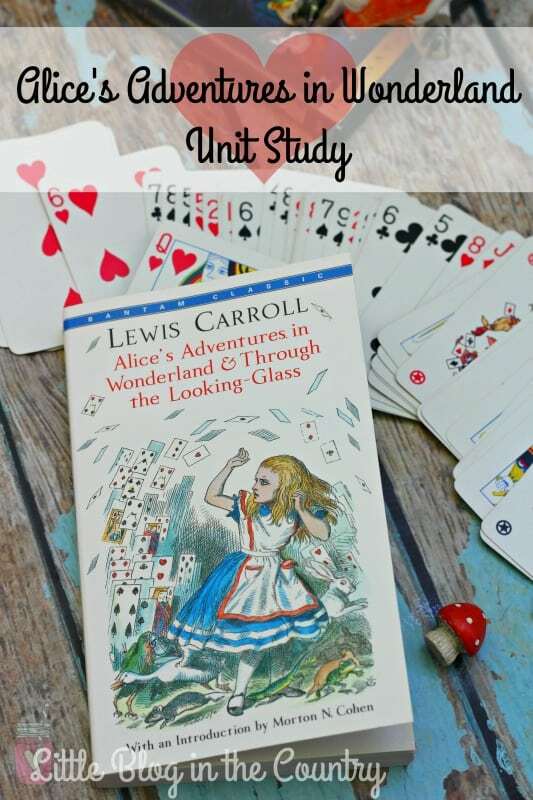 With the release of the new Alice Through the Looking Glass I was pretty excited to create this new Alice in Wonderland Unit Study based on the original classic by Lewis Carroll. 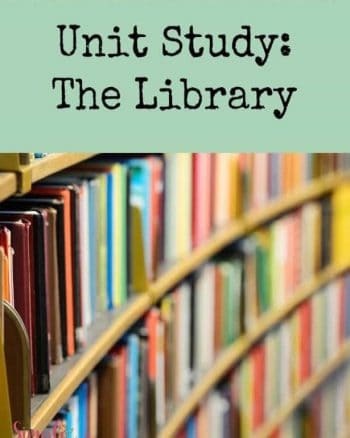 The fantasy, fun, and classic literature lends itself well to a short or long unit study and a lot of activities. Get ready to all down a rabbit hole wih me and Mini as we learn all about Wonderland! Read the book- Whether you assign your child a selection to read on their own or you read a chapter or two aloud daily this is a very important part of the unit study. Mini hates to read so we do a lot of books on audio. You can listen to the book free if you have a non-reader. Alice in Wonderland free audio book. Have a Mad Tea Party- Grab a tea set from a thrift store, Amazon, or off your child's shelf and have a mad tea party. 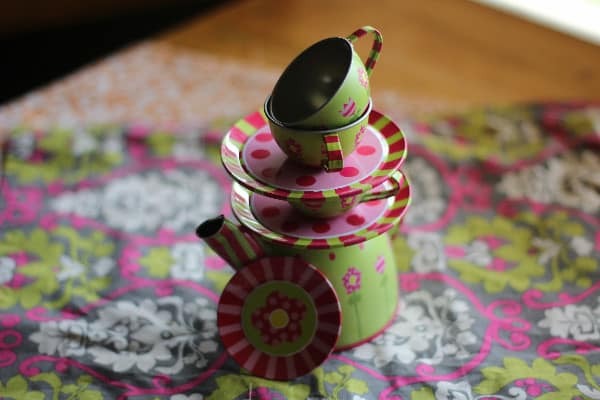 Serve tea and a hodgepodge of other items, decorate the table with crazy clashing pieces of fabric, and if you like dress up a bit silly as well. Silly Scavenger Hunt- Send your child off on a silly scavenger hunt around the house or yard. In order to get the next clue they must solve the problem on their card- you can write math problems they need practice on, words and have them give the definition, or just silly mixed up sentences for them to fix. Play Croquet- A unique way to get in a little exercise and fresh air is to grab a croquet set and learn together ( I did not know how to play). 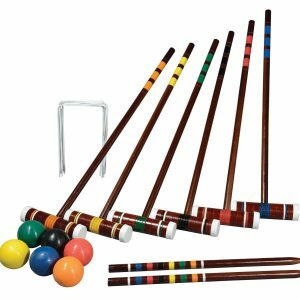 End your unit study by having friends or family over for a croquet party! 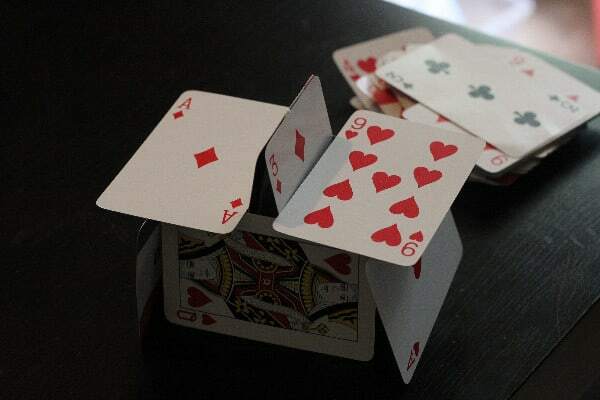 Build a house of cards– I picked up several decks at dollar tree for various activities and this one is great for fine motor skills. If your child is easily frustrated you may want to tape the cards together as you place them, it is quite frustrating for it to keep falling down as you build but it will still require some patience and fine motor work. Play cards games- Games like Hearts, Go Fish, and rummy. 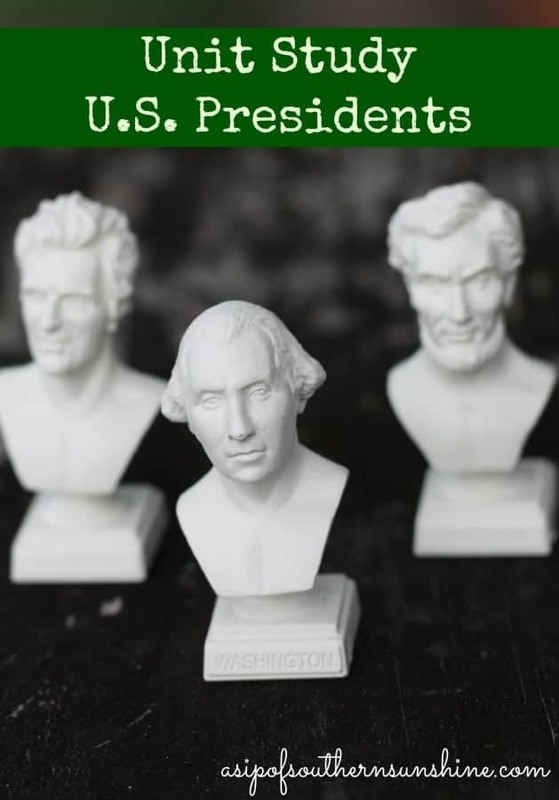 These are perfect for math skills, building strategy skills, and just plain fun! Watch the movie- Either the original animated or the more recent live action version. Have a discussion and compare the book to the movie. What is the same? What is different? 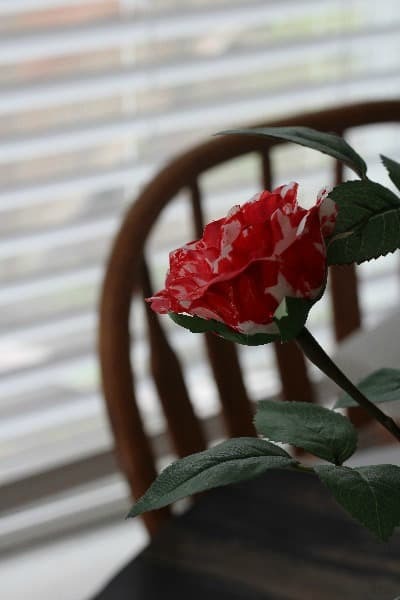 Painting the Roses Red- Pick up some inexpensive white silk roses at the local craft store, let your child paint them red just like the cards did in the story. It turns out to be a sweet decoration for your school room or anywhere in the house. Drawing-Have your child draw a fantasy picture of what their idea of Wonderland is with unique creatures and more. Try a new art medium you never have before- charcoal, watercolor, oil pastel, or chalk. Make Tea Party Hats- Pick up inexpensive hats and decorate them in crazy,colorful ways to wear at your Mad Tea Party. 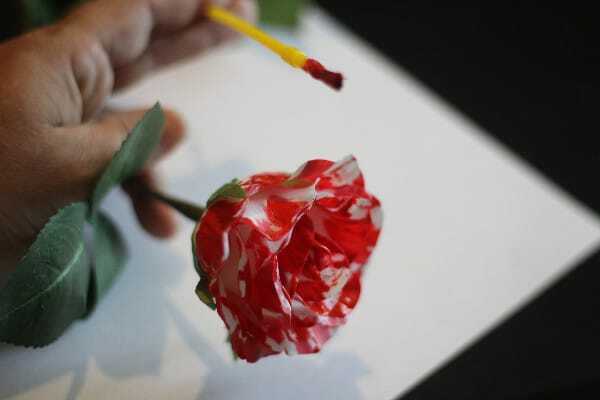 Or you can simply make them from paper. 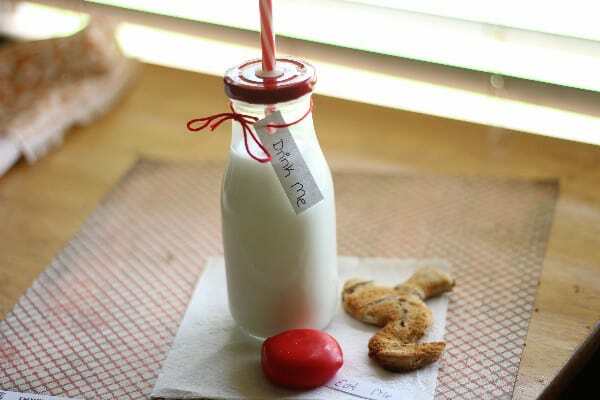 Turn any breakfast, lunch, dinner, or snack into a fun Alice in Wonderland themed treat simply by adding Eat Me and Drink Me tags. We kicked off our first day of the study with a breakfast of milk, a round cheese, and a piece of cinnamon toast cut into the shape of a flamingo-to mock the queen's croquet mallet. Make cookies- Simple sugar cookies (even packaged will do). Use a small tube of writing gel to decorate them with “Eat Me” on the top. 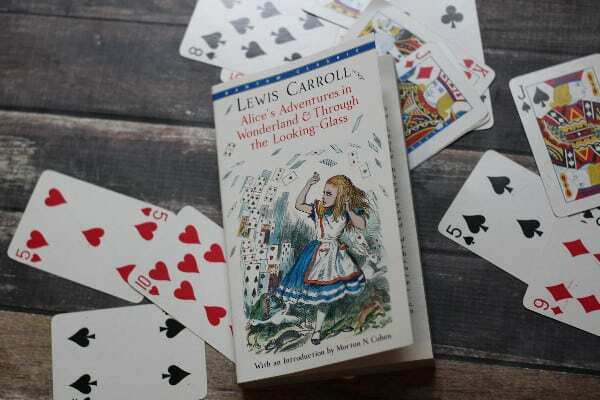 Give your child fun quotes from the book like “Would you like an adventure now, or shall we have our tea first” or “If you don't know where you want to go, then it doesn't matter which path you take” – turn them into copy work. Have your child write a silly mixed up story or journal entry, creating a crazy story. Give them a prompt if needed such as – Once when I fell down a rabbit hole, or Let me tell you about the time I met the Mad Hatter. After you read each chapter your child can write a brief paragraph summarizing what you read. Use the vocabulary words from the word search in our Alice in Wonderland printables as spelling words, and have your child look up the definitions. Use cards with numbers on it from the deck to create and have your child solve math problems, use the queen to represent and unknown factor. Little ones can place the numbers in order in ascending or descending order. Use cards to practice counting by 2's up to 10 for fun themed practice. I am a non native English speaker. I started to read English when I was in high school. Alice in Wonderland was the first book I read. What a fabulous fantasy literature. Love it so much. 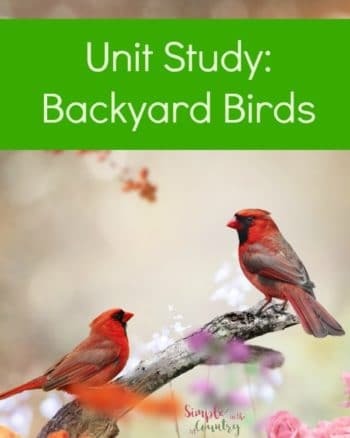 Thank you for such useful unit study to introduce the great literature to children in fun ways.